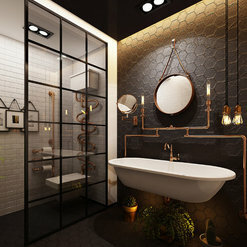 I was really stressed about starting a kitchen and bathroom remodel, but RYZUP really changed my perspective on remodeling. They handling everything from A to Z and really took all the stress away. They did a great job communicating every step of the way and their project management tool accurately tracked everything step by step for me. 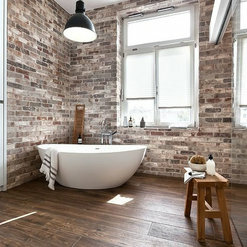 I highly recommend RYZUP and will definitely continue to use them for any of my remodeling needs!! I am very happy with the work completed by RYZUP. 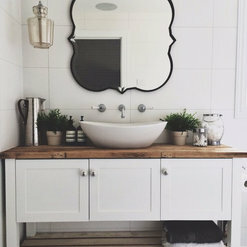 They did an amazing job on my kitchen and bathroom remodel. Their prices were very reasonable and came in lower than a lot of other quotes I had received. I loved that I was able to see the VR of my remodel before anything was even removed. I would definitely recommend them! I love my new Master Walk-In Closet!! It’s my favorite room. They really captured my vision of what I wanted my closet to look and feel like. I love spending time in my closet and there is not one single thing I would change in the design. Thank you RYZUP Team for such an excellent job and giving me the closet of my dreams in less than a week! I highly recommend them. 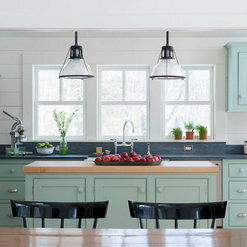 I had a very old kitchen that had not been remodeled in ages. Working with RYZUP was amazing, not only did they provide excellent customer service but they stuck with their promise. My kitchen came in on time and on budget, no hidden fees! What you see is what you get. I have highly recommended RYZUP to my friends and family! We're very happy with their work. We updated floors and tiles in our bathroom. They turned the whole project around super quick, and at a lower cost than other estimates we got. Would definitely recommend! Thank you so much for your kind review, it was a pleasure working with you. Here at RYZUP Kitchen we value our relationship with our customers and we look forward to working with you on future projects! 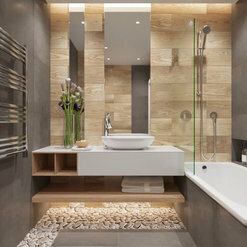 Ryzup Kitchen and Bath is a design firm with great integrity. They aspire to be the client's advocate with excellent products and services. 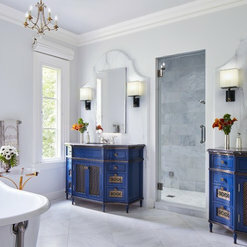 PJ Golkar is leading an outstanding team of designers, architects and carpenters. 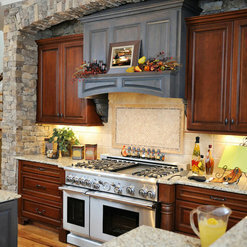 Ryzup offers a great selection of cabinetry for any design style. In addition to their bespoke opportunities they offer package deals that make the process fast and efficient. 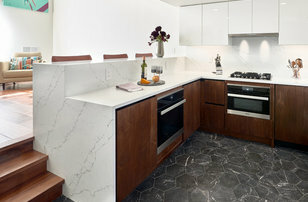 Ryzup partners with Miele appliances for a one-stop shopping experience. Ryzup's designer, Stephen Tyron, has a great eye for design and is an absolute pleasure to work with. I would recommend this company to all my friends and family. We love our new kitchen! It is by far our favorite room in our newly remodeled home thanks to RYZUP! 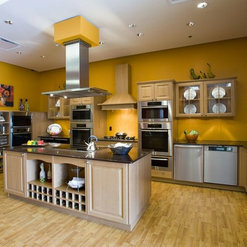 The Ryzup team made our kitchen remodel streamlined, low stress, and cost-effective. PJ assisted us throughout the entire process and his professionalism, knowledge, and communication was very helpful. The kitchen remodel and installation milestones were transparent to us along the way due to PJ's consistent, proactive communication. Our project was also completed on time and on budget. 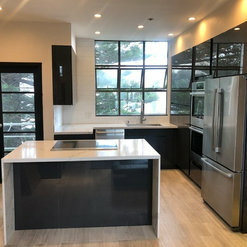 We are very pleased with the high work quality and craftsmanship of our finished kitchen and highly recommend Ryzup Kitchen! 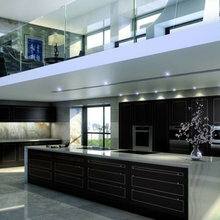 If you need to update your kitchen, contact RYZUP asap! PJ was so kind and easy to work with. They made a strenuous task into an enjoyable experience. Our budget was tight and they helped us work within it. 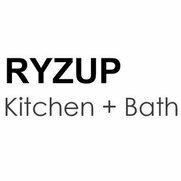 If I ever have to remodel a kitchen again or if I'm recommending a professional to a friend, RYZUP is my provider of choice! 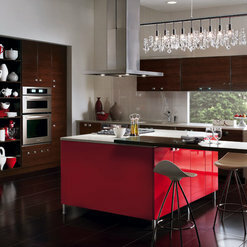 We really needed to update our kitchen in a short amount of time and heard about Ryzup Kitchen through a friend. They were amazing to work with. They were timely, efficient, an extremely professional. 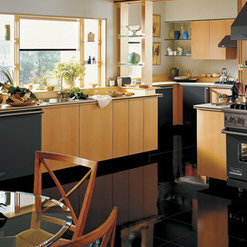 They created our dream kitchen, kept us on budget and made the whole process very seamless. . Thank you for your kind review, it was a pleasure working with you. Here at RYZUP Kitchen we value our relationship with our customers and we look forward to working with you on future projects! Great experience with these guys. 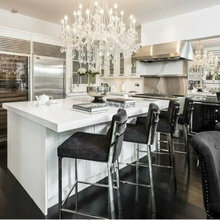 They did an awesome job taking my very outdated kitchen and turning it into a modern, sleek showstopper of a room. I was also particularly happy with their tracking app - I was able to login on my phone and see their progress in real-time. PJ who is the owner made sure I was happy with each step - planning into construction. Highly recommend and wish I had found them sooner! !